The second richest city in South Africa, Cape Town comes right after Johannesburg in terms of the gross domestic product (GDP). The city is an economic hub of the province and produces 10.58% of the GDP of the entire country and almost 71.10% of the economic activity of the Western Cape. These figures make Cape Town the second main economic center within South Africa. Small, medium and micro enterprises or SMMEs drive majority of the city’s economic activities and almost 75% of all businesses operating in the vicinity can be categorized as such. The SMMEs account for almost 50% of the entire output of the area and many other economic drivers in the city include real estate, finance, business services, retail trade, wholesale, manufacturing, accommodation and catering. Even through agriculture and manufacturing are vital for the local economy, Cape Town is a service based economy that can also be termed a metropolitan economy. Getting hired in a reputed organization in an entrepreneurial and business environment can be tough due to the stringent filtering of the candidates and the amount of good jobs available. You can effectively enhance your skill set and expertise in order to get a better paying job in a good organization by training under the 6 Sigma class training, which has helped millions of employees find the right job. Six Sigma is not only a training course; it is a complete methodology that can be applied on the business processes within any organization in order to improve the workings and the performance of the task, decrease the expenditure, and complete the task within its designated time duration. The DMAIC strategy explains what you truly stand to learn from the 6 Sigma class training. This is one of the many tools that you attain during your training that can be used to help in improving, stabilizing and optimizing any business process by a simple method. The DMAIC abbreviation stands for Define, Measure, Analyze, Improve and Control which are the basic steps that can be applied to any project to get successful results. Define signifies the proper identification and then articulation of the problem in question, while taking the restrictions and objectives of the project under serious consideration so that an efficient plan of action can be outlined and clearly defined. The next step requires you to acquire as much information effectively as one can and then use the accumulated data to ascertain the status of the current project, along with the anticipated goals. It helps identify the present baselines and the amount of work that will go into making the project a success and achieving the pre-defined targets. This step deals with the process of eliminating any negative element and then determining why that element particularly is not required within the business practice. This step entails an individual to properly use the latest brainstorming methods and techniques, so that an effective solution can be found for any problem. You also define a clear plan that is to be implemented in order to overcome the issue during this step. Once all the steps have been completed, you will then monitor and observe the project diligently to ensure that the target has been achieved, and that too, in the most effective manner. 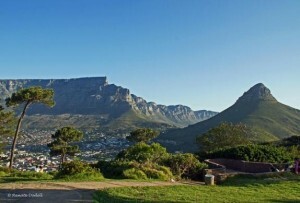 All these you will learn at a Cape Town, South Africa 6 Sigma class training offered by Global Six Sigma. So, check out the class schedule and reserve your spot now. Questions? Feel free to contact us and we will attend to your inquiries. The office space in Convention Tower, Cape Town is located on the first floor of a gleaming glass-fronted building on Cape Town's bustling Foreshore in Central City. The offices are conveniently positioned next to the top-ranked Cape Town International Convention Centre (CTITCC) - a hub for business tourism, hospitality and event hosting in South Africa. The office is close to major hotels and the Victoria & Alfred Waterfront - five minutes' drive away. 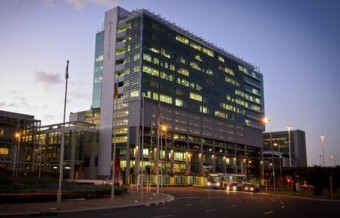 The area is home to finance organisations, real estate, construction and corporate HQs, as well as government bodies and the South African National Parliament. Central City represents a quarter of business turnover in Cape Town.